DR.LEE+TCM is a premium brand of herbal supplements developed by Natural Pharmacia International, Inc. (NPI), a botanical drug and herbal supplement company and a leader in the modernization and re-discovery of Traditional Chinese Medicine (TCM). TCM has been practiced for thousands of years. NPI culls through the wisdom of TCM to validate and further develop selected remedies with modern technology and methodology as FDA approved botanical drugs. We have a robust pipeline of TCM-based botanical drugs in various stages of pre-clinical and clinical development. While going through clinical trials, we market certain herbal products, with safety and efficacy in mind, as functional dietary supplements under the overarching brand of DR.LEE+TCM. 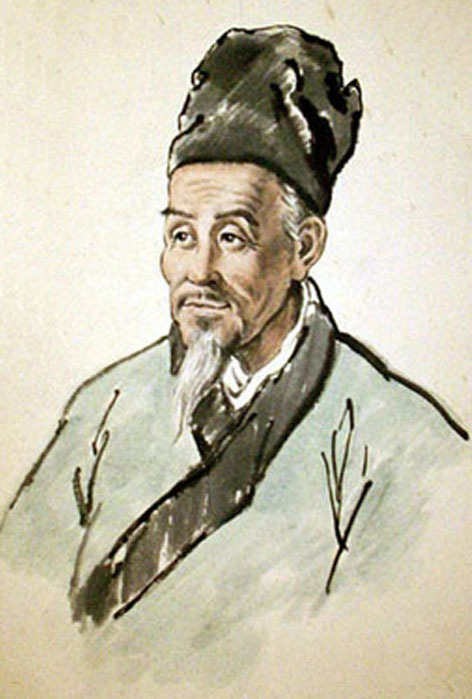 Dr. Lee Shizhen (1518–1593) was one of the greatest physicians and pharmacologists in Chinese history. His major contribution to medicine was the Bencao Gangmu (“Compendium of Materia Medica”), which describes in detail over 1,800 drugs, with 1,100 illustrations and 11,000 prescriptions. It also describes the form, flavor, nature and application in disease treatment of 1,094 herbs. This book remains the premier reference for herbal medicine. Some 400 years after Bencao Gangmu being compiled, Dr. David Y. Lee, Director of the Natural Products Laboratory at Harvard McLean Hospital, founded Natural Pharmacia International (NPI) with a group of leading experts in the US and Asia. NPI culls through the wisdom of TCM distilled over thousands of years, and enhances it with cutting-edge technology to develop evidence-based and FDA-approved botanical drugs as well as functional dietary supplements under the brand “DR.LEE+TCM”. The overarching brand for all of our herbal supplement products symbolizes the union of modern technology and ancient wisdom. It also reflects our core values: Integrity, Validity, and Superiority. NPI also leverages its first-class discovery and development capabilities to identify and develop the bioactive single-molecules responsible for the therapeutic effects of certain herbs. The research and development team at NPI is made up of prominent scientists from the US and Asia who have a wealth of experience in modern drug development as well as expertise in complementary and alternative medicine. The company is managed by executives with extensive experience in the pharmaceutical industry as well as solid understanding of the life sciences. NPI strives to be one of the most valued and respected healthcare enterprises in the world, combining the wisdom of TCM and the rigor of cutting-edge science and technology. Click here to find out more about NPI.